Hi, A little about myself, I'm Christine Carpenter. I have owned Weimaraner gundogs since 1989 which is about the time I moved to Somerset. I work my dogs in the shooting field and I field trial them with some success. I have dabbled in other activities with my dogs, but working them is my passion. 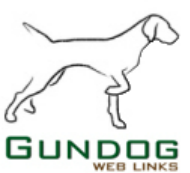 I came across the idea of this site to help people find gundog related stuff all in one place after receiving several phone calls a week from people. The project then started to snowball into an idea. Since the year 2000 I have taken gundog group classes and 1-2-1 classes for puppies and Novice. Hope this free portal site helps you to find what your looking for.